Ashley, a bright and engaging nine-year-old, witnessed her stepfather break her stepbrother’s leg with a baseball bat last night. The police were called, invaded her home about 1 a.m., and took her stepfather away. This morning, she came to school as usual, but in a trance, unable to focus. Jasmine responds much more aggressively. When she is off her medications, and her traumas are re-triggered, her tiny, wiry 45-pound frame can muscle a chair over her head. She screams and curses in guttural tones while heaving the chair at a classmate. She’s being raised by a hesitant uncle in place of her deceased parents. Jasmine goes home to a darkened row-house, with ”illegal smoke” wafting out the front door that hangs wide open to the street. Jamar’s been absent from school. After several suicide attempts, he’s at the Crisis Center. Jamar suffered brutal beatings from Mom’s boyfriend, who stuffed a sock in his mouth to muffle his screams. He will come back directly to my classroom from the Crisis Center, without the dedicated adult support he is due. Ashley, Roberto, Jasmine and Jamar had at least eight other classmates with similar stories in our one classroom at the same time. These four real vignettes are hard to read. They’re tragic. Yet these kids are only a small portion of my class (see “Danny Goes to School). For the last 13 years, one-half to two-thirds of the students in my urban, public school classrooms have experienced similar lives. These children are only four of the thousands across only one city: Philadelphia. Theirs is not a deficit issue. They’re not “sick” or “bad” children; they’re injured. All kids want to learn. But neurological science shows that it’s physiologically impossible for kids to learn if they’re experiencing trauma. When they’re in “fight, flight or freeze” mode, the part of their brain that allows them to focus and learn shuts down so that the brain can efficiently address immediate danger. The more consistently it’s offline, the more impairment. Meanwhile, our public school district has had to cut counselors to less than one per 1,000 children. In many districts, including mine, the systems are not yet trauma-competent. The minimum support staff cannot provide safety in all areas. Teachers and staff do not receive training in trauma-informed practices. Schools haven’t altered punitive discipline policies that can lead to re-traumatization — sometimes suspension and even dropping out of school — or shunting trauma-impacted students into the ‘prison pipeline’. Instead of explicitly confronting childhood trauma from the start, we wring our hands and make noise about suspension rates, parents, school violence and dropout rates at the other end. We are going the exact wrong direction. We are ignoring the key variable. If we want children to become healthy, learn and succeed, we need to address their trauma injuries first. It doesn’t matter how adequate the funding, or how good the curriculum or teachers if the children can’t engage. They can’t efficiently engage in ANY process while struggling with trauma and related defenses that impair cognition. They need trauma-competent systems to engage productively. Meanwhile, we all focus obliviously on managing financial budgets around academic processes with a gaping trauma-hole in the bottom. Instead of developing trauma-competent systems, my district often hands “failing” schools — schools where ‘standardized’ test scores have been low for years — over to charter school operators. The test scores themselves can be suspect in many ways, but the handoff achieves blurred accountability. The district’s “failing” school pronouncements beg some questions. Why are so many urban schools deemed to be failing? What are the largest issues in urban education? How does the district paradigm address the specific urban issues? Without those answers, the handoff to “charter businesses” is academic gambling, financially fraudulent and morally vacant. Even with a myopic focus on test scores, there is still no charter operator clearly, consistently delivering higher scores at a sustainable investment cost. I submit that the coveted scores cannot be dependably delivered, even with more money, new paint, some computers and more aggressive use of teaching faculty labor. It’s time for all to see what the families and teachers in public neighborhood schools saw this spring in our Edward T. Steel and Luis Muñoz Marin schools: They saw that in the district-proposed charter conversions that even with extra funding, there will be disruption and change, ultimately without addressing the “whole” child, so in the end, the charter “emperor has no clothes”. When given the choice, those communities both voted to reject the district proposal. 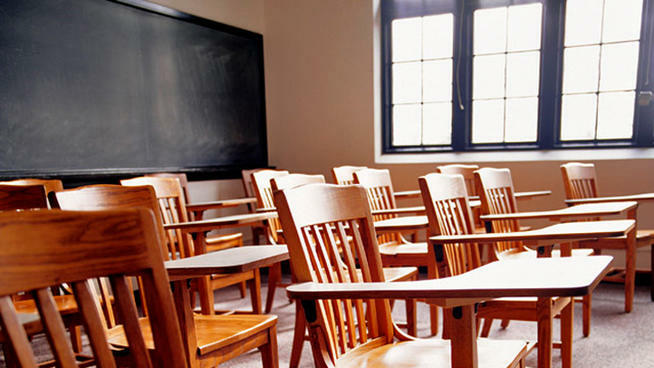 Instead they will begin to work on strengthening the existing neighborhood public school. More frustratingly, the State of Pennsylvania took control of our district in 2001 to address financial struggles, yet our district remains significantly under-funded relative to others in the state, without any formula for equitable budget allocations. Nevertheless, the same “begged questions” remain equally relevant in the scenario that Philadelphia achieves its goals of ‘local control’ and dependable, fair funding. What would we do to change the paradigm when we’re in charge? Understanding our customers requires a fresh look at the research data and latest science. First, the public health research is clear: There is a staggering amount of childhood trauma. Childhood trauma includes not just heinous events and natural disasters, but children who experience physical, emotional, or sexual abuse, or physical or emotional neglect; and/or live in households whose members are addicted to alcohol or other drugs, have a mental illness, or where children witness a mother being battered, or lose a parent to separation or divorce or incarceration. These events are known as adverse childhood experiences, or ACEs. (There are others, but these 10 were measured in the CDC’s groundbreaking Adverse Childhood Experiences (ACE) Study.) Without intervention, ACE trauma leads children to distrust and to hyper-vigilance, or dissociation as eminently logical defenses. The chronic or complex trauma they experience and the behaviors they use to cope — such as smoking, drinking and using drugs, over-eating, raging — will ultimately reduce productivity in the workplace, cause adult onset of chronic disease and early death. Further, unresolved ACEs are often generational. Parents of trauma-impacted children often are dealing with their own trauma injuries. Assigning blame to anyone does not help. No matter who is to blame, the trauma-impacted children will still come through school doors the next morning, children who have equal rights to education. It’s time to develop solutions. The children are the responsibility of us all. The systemic costs of unresolved childhood trauma for us all are measured in billions of dollars for costs of violence, unemployment, incarceration and generational repetition. The ACE Study shows that two-thirds of participants have experienced at least one of the CDC’s 10 types of chronic childhood adversity, and 22% had an ACE score of 3 or higher. This is especially startling, given that the 17,000 participants were suburban, middle-class, college-educated, mostly white, employed people with health insurance! The urban numbers are even more shocking: the Philadelphia Urban ACE Survey shows that 37% of the population have an ACE score of 4 or higher. In north Philly, the scale of childhood trauma is more than double its suburban neighbors, with more than 45% experiencing four or more ACEs. 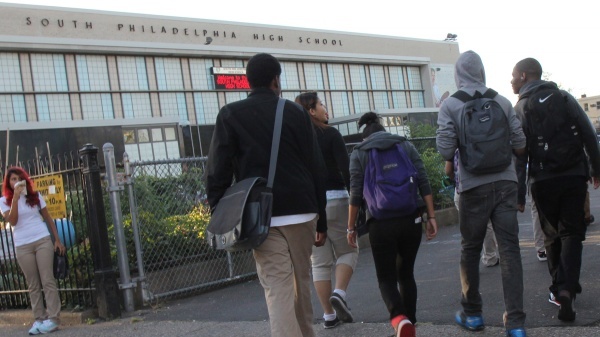 Most of the Philadelphia public schools deemed “failing” and “dumped” are in zip codes where 30% of the population has four or more ACEs. It is difficult to absorb. It is massive. It is the elephant in the room. Are they failing schools or do we have a failing paradigm? Massive rates of childhood trauma should connect explicitly to our education paradigm. The science is clear. Childhood trauma connects to education like a laser, through the effects of toxic stress on brain development. When children live in an unresolved chronic, traumatic state of survival, the toxic stress damages the function and structure of their young, developing brains. These injuries relate specifically to the prefrontal cortex and academic processes, especially crucial executive function, memory and literacy. The physiological process also leads kids to distorted perceptions of social cues, which alter their behaviors in response. These children are 30% to 50% of our urban district. 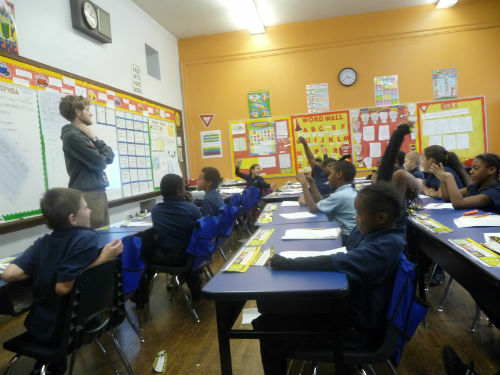 That means that in each classroom in north Philly, 13 to 15 children have four or more ACEs. Trauma-impacted children then affect others in the classroom with their defensive hyper-vigilance, aggression, violence, acting out, mistrust and opposition. The elephant in the room. A trauma-competent system that allows for learning would include training for all. It creates a calm and safe environment for children. Safety includes physical, emotional, relational, social, and academic safety in all areas of the education complex — classrooms, hallways, cafeteria, bathrooms, offices, gym, school grounds, busses and more. Support staff interactions are as important as the teaching staff’s. Re-conceptualized “discipline”, and linking trauma-competent counseling to children and families, along with facilitating positive adult ‘connections’ are all crucial. A few schools with comparable numbers of trauma-impacted kids have provided similar structure; it’s changed their children’s lives and allowed them to learn. Childhood trauma is absent as the explicit, crucial keystone of our urban education paradigm. We will not have a successful education paradigm, or even accurately interpret success while ignoring its overwhelming presence. It would be like getting a new owner for the Phillies baseball team, all new uniforms, new equipment and a refurbished field, while nine to 12 players (30-50% of the team) are each dealing with four serious injuries: shoulder, hamstring, groin AND knee…and then they’re all told to play through the injuries. How well would they do compared with healthy teams? I am not pointing the finger at anyone or any organization. This is a relatively new intersection of public health research, neurobiology and education. But note that there are researched-based models (district-wide, even community wide) that are already being implemented in parts of Massachusetts, California and Washington State. We can learn and expand further from these models, but it will take all of us working cooperatively. Change starts with adults: comprehensive training, and re-envisioning what safe schools are to our customers — our trauma-impacted children. The successful new education paradigm begins with being explicit about the elephant. Daun Kauffman has taught in North Philadelphia public schools for 13 years. An excellent article, you should be commended for sharing this essential information. The question in mind is when are we going to really address the problems highlighted by this article instead of kicking the can down the road? There is a failing culture!!! The families are failing!! These are fragile children that educators need tone able to reach!! I’m not sure if I am interpretting your comment correctly ? Cultures and families may be failing. Teachers can still provide some insulation (assuming training and resources). At least one adult must be allowed time and space, with the child, to wisely work through “what happened” to the child to start to be able to soften their lock onto “survival mode”. here has to be a Big Why all this is occurring. This seems to be fairly recent since I do not recall this degree of violence in my 70+ years. I’m not a sociologist but I am educated, observant and a well-read conservative. I think one of the root causes is Johnson’s Great Society from the mid-60’s. It was a noble attempt but a miserable failure costing billions. One result has been rewarding single mothers with a government stipend per each child they have. Fathers are not part of the household. Permanence in the family unit is absent. Many kids in a single mother’s house may have numerous fathers. Bottom Line: The Big Screen TV is the missing parent through which kids are exposed to more violence and immorality with no apparent consequence. The results are what we are now observing. More frightening is our future when these kids think and assume that their lives are normal. Multiple sexual partners, violence, foul language, dis-respect for authority and a single parent household are the norm.. Thanks for your comment. You might want to read about the Adverse Childhood Experiences Study, which sheds a great deal of light on this issue. And here’s how a school used that research — and research on the neurobiology of toxic stress — to turn things around. Our culture is now economically driven ( it supports the dollar ) not families ( what children need most ). To change the tide would be an enormous undertaking. A lot of teachers do the best they can, as they themselves struggle to work to make an income and be the best parent they can be at home also. Thank you C W King ! I totally agree from my experience of working with high school juniors and seniors that had very high “ACES” in their lives. I worked as an academic/life coach, and mentor for a well-funded early or middle college program in a title one suburban/rural district. My task was to prepare students with few skills and many non-academic issues to go to college classes and achieve high grades…what a huge jump for them. I tried to prepare these B and C motivated and mostly bright students for college work and my administration couldn’t understand the need to invest in each one personally vs. only academically. The ones that succeeded were the ones that had relationships with adults that were invested in them. For many it was grand parents or single parents. Many did not make it in the “middle college” environment due to the early childhood and continuing trauma in their lives that shaped their learning and emotional abilities and sadly their self-worth or value. This crippling has such long term effects as I saw them leaving high school and even with intense intervention and mentoring for some it was too little, too late! Money nor better curriculum or materials doesn’t fix these types of issues, but awareness and action by loving and intelligent adults can intervene…the earlier the better!!! 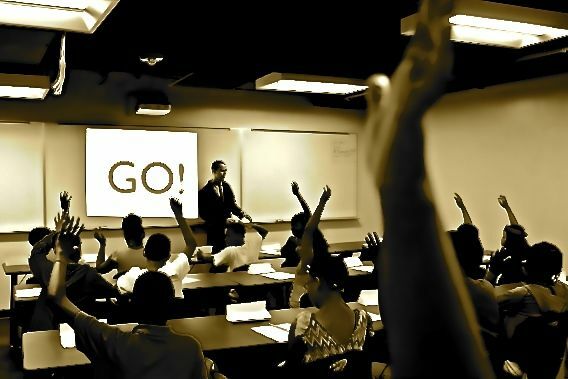 I would also add that some students just needed someone to believe in them and help them to believe in themselves to overcome their past…it was possible and it might take counseling to do it, but the great thing was most of the students accepted the responsibility to be the change they wanted to see, One last comment…I used multiple team-building exercises with the students at the beginning of each year and one or two experiences outside the classroom cemented a bond that lasted through the whole year and beyond which made them able to open up to each other and share their common trauma and their solutions with each other. They looked out for the team members and they grew to support each other. The best thing we did was a High Ropes Challenge Course, which included an entire day spent together going through games/challenges that taught them about themselves and each other. Building back some “trust” and “self-worth” into their lives. Very rewarding and exhausting program! Thank you so much for your encouragement Cynthia ! It sounds like you have a great (and rewarding) role with your juniors and seniors. Your observations about attachments or connections to caring adults as a key antidote for ACEs is right on, in my experience and in the literature. Thanks also for your team-building suggestions. Your brilliant. Thanks for sharing that. The work seems ‘all upstream’ all the time, but when I hear people like you doing what you do, I get refueled to carry on. Onward and upstream we go !!!! Children under lock and key frequently act out. When they do, we don’t lose hope in incarceration but in the kids themselves. “She’s incorrigible,” we say. “We must continue to incarcerate her.” We determine to keep administering the poison until the patient improves. Why the heck are we looking at the children as the problem? Thank you for sharing, NEWNOZ,. It’s a great question ! What I’m interested in now is what our tramatized empath children can do. We can’t do anything to take away what they’ve already suffered beyond helping them heal. I would love to see us move past just plain “healing” to strengths. What can these children do more easily than others? I have a few ideas. Yes, one can take one’s neuroticism or obsessions and turn them into good for the world. In fact many have, the famous and the not so famous.That may take the support and clarification of some good therapy. Helping people see and accept themselves for who they are and from where they come is step number one. Number two is helping them put their hands on their own steering wheel of life and guide them in finding “work arounds” when warranted. That to me is the best kind of therapy. I suspect you have done some of this your self. Daun: Have posted the student description section of this blog on my Facebook page, with link you your article. Am sending same to all WA state legislators on the House and Senate Education Committees, to three congressional aides, and to a network of moderate Republicans. Thank you for a compelling and sensitive description of why our current ed reform paradigm won’t work. Wow ! That’s fantastic. Thank you Ken. It is my pleasure, sir. I will also be following up after reading and analyzing the rest of the article. One of my prime talking points is the circumstances under which the body produces cortisol in the brain and the effects that has on learning. I invite you to read my blog on KirklandPatch.com. Have been writing about education and ed reform for 22 years. A second part to this essay is the multitude of seemingly well off children are experiencing precarious living conditions and parental unrest as jobs are lost, mortgages are overdue, and unemployment runs out well before jobs can be found. No matter how much the children had or even still have, this is traumatic for them. My own son has been in eight schools in eight years with married parents who both have master’s degrees and qualify for excellent jobs–if only the jobs existed. Teachers don’t seem to understand that “well off” children can also suffer, be abused, etc. Jenny, you are right on ! The original ACE work was done among mid+class suburban, working, insured folks in southern CA. “Even there” the prevalence was 22% with 3+ ACEs. “The other side”. Thank you. Thanks for this post. I greatly appreciate the systems perspective of the ACEs work and of all the people involved. In particular, the Community Networks of Washington are very competent systems thinkers, which gives me hope that this complex set of problems will eventually be adequately addressed. It really takes “big picture” thinking to stay with this work over the several generations it will take to make lasting change. Yes, a big, systems goal. A big goal which starts with “awareness”. I only disagree with the idea that “doesn’t matter how good the teacher”. A teacher can make ALL the difference in a child’s life & that of the parent’s life. I suspect many people would be interested in seeing the data that supports your conclusion, since it is contrary to almost all of what was written and documented above. A teacher (or relative or counselor or other caring adult) can make a large difference in a child’s life, but not ALL the difference. There are simply too many other factors at play throughout a childhood for any one individual to wield such massive influence. It is unfortunate in today’s rearing and teaching of children we have lost touch with our instincts. If instincts guided us more I think we wouldn’t have to look at data and research as much as we do now ( and spend all the money doing so ) . Although wonderful in lending insight into the science of trauma, it hasn’t helped us to find our way with caring for youth. The traumatized brain is showing now in all our technology that in fact the Autonomic Nervous System works over time- in particular the sympathetic nervous system – in these kids. So how do we get them to experience more ‘psychological rest’ is what we need to focus on. It is in this rest that we can begin to settle the brain down and start to grow the resilience and adaptiveness they will need for the rest of their lives. Academics and behaviour need to come second. The best means for this brain development to happen is in safe and caring relationships with the adults that provide this environment. It is simple and proven even in the world of science. Take a young child and separate them from their mother ( I am presuming here this is a well attached child ), swab their mouth and we find their cortisol levels rise in response to that separation. Back in the day, our grandmothers didn’t know what was up with Johnny they could just “feel” he wasn’t right. That’s when they would turn to the kitchen make his favorite meal, call him in early for supper and sit with him. Loving him through connection and provision. She knew what she was doing, she just didn’t know his cortisol and adrenaline levels were dropping. Dr.Gabor Mate Canadian physician specialized in trauma ( restorative ) and Canadian psychologist Dr.Gordon Neufeld ( proactive ) team up in their thinking and are sought after international speakers. A teacher can make the difference in a life of a child; many lives. No teacher has the power to make ALL the difference in the life of every child. My friend, Susan Greenfield is doing her best to address just this question, Debbie. Possible clarification on the topic of involved adults is in the semantics: Using “difference”, yes a teacher or any positive and heavily invested adult can make a huge, huge “difference” in a young life. The point in the article was much narrower than life “difference”. The article was about teaching and learning, test scores, or more specifically: cognition. When a child’s brain is in “survival” mode, injured by chronic, or complex trauma, it is physiologically “muted” for cognitive functioning of the prefrontal cortex. See the various “references” linked in the article itself. It is the nature driven “survival” functioning that impairs cognition…at that point (during that day or that “season”) it won’t matter how good the teacher. The student and teacher will not successfully focus on academics, or learning, or especially raising test scores, in that “survival” (or flashback) season. Absolutely 100% in agreement that cognition is not accessible when under duress of any kind – emotional, psychological, behavioural, social, etc . So that means the first concern of that teacher who is going to make a difference will be that of emotional rest NOT of academics. There is no point in trying to teach anything until the sympathetic nervous system has settled down. We have to get to A before we can get to B. Intuitive teachers do this naturally not guided by experts or science. In today’s culture we have strayed so much from our instincts that we now need to look at the science and educate ourselves because our gut reaction to our students needs have been ‘muted’. Dr. Mate – Canadian physician who is an expert in trauma actually talks about this in one of his videos how the temporal lobe has a 6th sense. Those teachers who provide the context of a warm and compassionate relationship for the student can slowly begin to walk the academic maze with their student, while holding their hand. Then and only then can they hope that the attention will be there for the learnings to sink in. Debbie, I wish the Education “Reform” crowd had the 6th sense you highlight ! You are right on about first things first. Unfortunately, with the “Reformers” there is not much room left these days for any of us to go off-script, or off-timeline. Testing focus and pressure rules the day. Teachers’ “performance” evaluation also rides on “the standardized test”. The uniqueness of each child and their mindset is not acknowledged, in fact it is usually assumed-away when interpretting “data”. Maybe you and I could go together to share some things with Arne Duncan . . . Yes, it can, Debbie. I was fundamentally raised by teachers, administrators, counselors and the parents of my friends. Do not listen to these people who want to discount the role of responsible, caring adults in childrens’ lives who have unsafe homes. Of course it’s not “ideal” but it beats the heck out of nothing/nowhere/nobody. Last year nearly 100,000 Ph.D.s were granted in the U.S. Only HALF of them were fake. If schools or the education paradigm were failing, wouldn’t a much larger percentage of them be fake? A fabulous article that gets to the core of the issue for children not only in schools, but notes the ramifications later in life. I particularly appreciated the Literature Review link. Thank you for bringing attention to the impact of trauma on children and our responsibility to offer viable assistance to them.